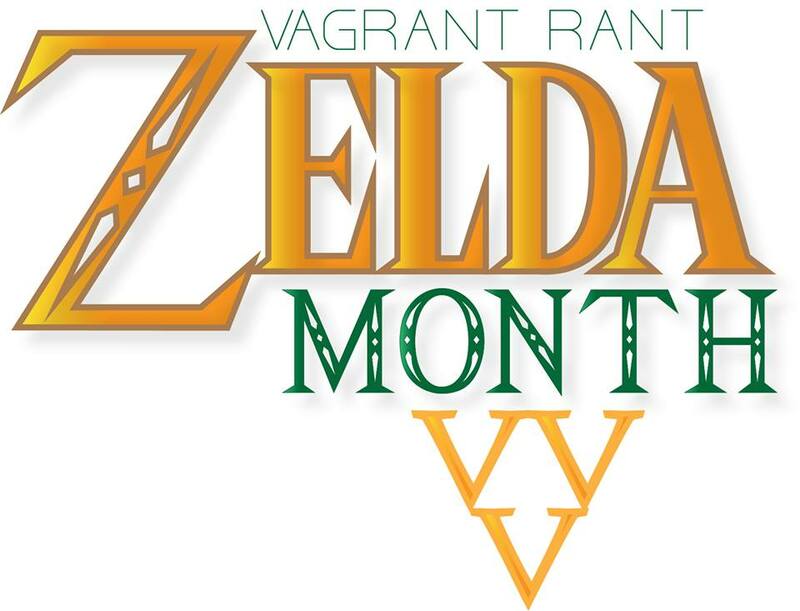 If Zelda were real, humanity would have a lot of very pressing problems – despotic demon kings, gross inflation via plant-generated money and general civilian stupidity chief among them. However, at the very least there would be some pretty damn stunning tourist destinations to visit. The art design in pretty much every Zelda game is exemplary and though it may vary quite widely in style (compare the acid trip of Majora’s Mask to the dark palette of Twilight Princess to the incredible imagination of The Wind Waker), each game has its own share of very pretty locales. This list is an homage to those moments in the Zelda series when I have just wanted to stop for a moment and just take it all in. I will be ignoring all of the (many) impressive locales that are designed to be more foreboding than inviting, because this isn’t that kind of list. Rather, these are places I would actually want to go and visit, were they real. There is potential for some real estate agent rhetoric here, so brace yourself. Despite some great art design in the 2D games, this list is drawn only from the 3D ones, because let’s face it, they have a bit of a natural advantage in this department. The first item on the list even acknowledges its status as a potential tourist destination, as it actually features a souvenir house and a structured boat tour. Despite its slightly ‘off’ tone, owing mostly to the poisoned water flow and, well, the fact that it appears in Majora’s Mask, Southern Swamp is quite simply one of the most visually interesting locales in the entire Zelda series. It throws together some quite eclectic choices of flora, most of which would never be found flourishing in a real life swamp, and then dips them in LSD. As the first dedicated temple region of the game, the swamp was an obvious showcase of the power of the N64’s Expansion Pak that served to distance the Ocarina of Time sequel from its predecessor, but it achieved this on design alone long before graphical power came into the equation. The Wind Waker features near-constant visual “wow” moments from start to finish, such is its visual freshness, but the one that takes the cake just has to be the pivotal moment from under the sea that takes place around the middle of the game. Time quite literally stands still around the once-great Hyrule Castle, with an eerie black and white look draped over everything in sight. Then a huge story event takes place, restoring colour to everything – and what colour! The sheer contrast is eye-bleedingly gorgeous (I can’t wait to see it in HD next month) and the vivid stained-glass windows of the Chamber of Sages instantly make any hardship you may have endured to get up to that point in the game worth your while. Considering its out-of-the-way position and totally inconsequential story role, Nintendo put an awful lot of effort into Hena’s Fishing Hole from Twilight Princess. Not only is the area positively gigantic, particularly when compared to its Ocarina of Time cousin, but there is a surprising amount to do within it. Catch fish (rare or otherwise), hunt for an empty bottle, grab a Piece of Heart, play a unique minigame, and of course, stare at its beauty. The Gamecube’s hardware (and consequently the Wii’s – I mean let’s not kid ourselves here) was really put to work in order to achieve the ambient feel that comes from floating in a boat on an idyllic mega-pond with flower petals floating by. Even more impressive is the fact that every time you enter the area, it changes appearance to match one of the four seasons. One of the most pleasant surprises of my playthrough of Spirit Tracks – and there were many – was driving my train into a giant stone fish mouth, expecting the entrance to a temple, only to emerge in an entirely new underwater area laid with its own set of undulating tracks. I was flabbergasted by the ability of a humble DS game to take my breath away so thoroughly. The game utilises clever graphical tricks to give the illusion of piercing sunbeams, believable underwater physics and unfathomable scope, but it is the contribution of a truly fantastic musical backing track (OK, maybe the overly generous rupee rewards yielded by the underwater enemies too) that made me want to stick around the watery depths for much longer than I needed to. That’s right – the rest of the Ice Cavern is largely irrelevant here. The mini-dungeon is certainly pretty – don’t get me wrong – but that final crystal-laden room just puts anything else in the Zelda series to shame when it comes to visual splendour. 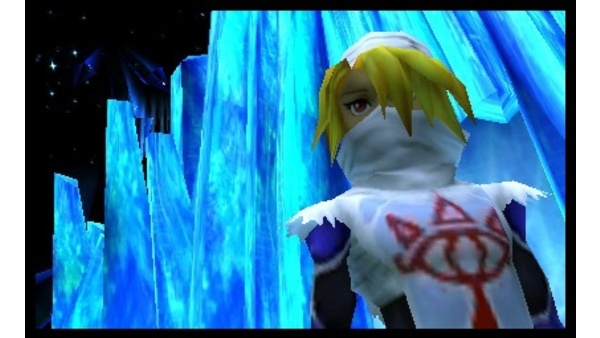 The dazzling room holds a single enemy and a chest containing the crucial Iron Boots, but it is known more for what is arguably now regarded as the most famous of Link’s many meetings with the mysterious Shiek in the whole of Ocarina of Time. This is partially due to an iconic piece of official concept art that accompanied the game’s release and has since taken on a life of its own through the likes of Deviantart tributes and the artistic team behind Super Smash Bros Melee. Nintendo sub-developer Grezzo acknowledged the impact of the moment by applying a visual upgrade to the room for the game’s 3DS remaster dwarfing that given to any other locale in the game. 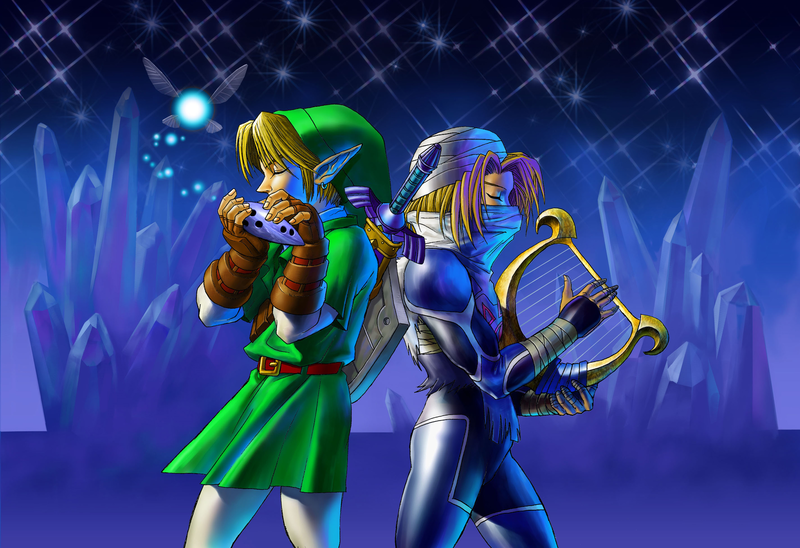 Nowadays, say the words “Shiek” and “Harp” to a Zelda fan and his or her mind will more than likely conjure up visions of piercing blue icicles and a starry night sky. As images go, it remains one of the series’ most powerful. Located through a hole in the face of a riverside cliff, the Skyview Spring is a postcard header if ever there was one. Birds and butterflies flitter past as you walk by a series of magnificently crafted stone pillars towards a circular body of the clearest aqua-blue water you’ve ever seen outside of a Great Fairy’s Fountain. The gentle overgrowth lining the sheer rock walls around you complements the multiple cascading waterfalls perfectly, making you wish you had more reason to stay. Vast and painted with a palette rich in cool colours, the multilevel underwater Zora Hall complex is covered in all manner of seashell adornments and, like most of the populated areas in Majora’s Mask, seems positively alive with activity. There isn’t a boring room in the place when it comes to doing things, nor when it comes to just looking at them. Preeeetty. i think the hyrule castle from wind waker should be first. it was amazing D: the feeling of being underwater, being a big fan of zelda i just felt there.